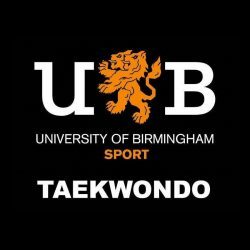 On Saturday 16th and Sunday 17th March 2019, the University of Birmingham Taekwondo Club attended the BSTF Spring Championships, which was also the qualification event for the EUSA (European Student) Championships in Croatia. This was the biggest BSTF competition of the year with over 600 participants and 55 Universities across the UK. 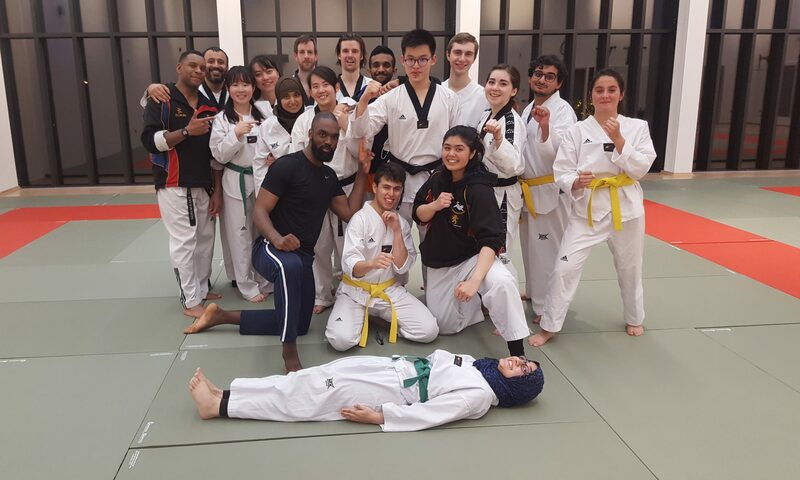 Our team competed in Kukkiwon patterns, WT style sparring and ITF style sparring. Our team this season did better than ever! We came home with 5 gold medals, 1 silver medal and 5 bronze medals, including 2 EUSA Championship qualifiers. On Saturday, Fabian Burkhardt and Bel Bevan-Davies competed in the pair Kukkiwon patterns discipline for A-class where they showed great form and teamwork, achieving a bronze medal. Fabian also participated in the team Kukkiwon patterns discipline for A-class with Henry Chiu (Loughborough) and Jack Durcan (UCLAN); they demonstrated excellence and achieved a gold medal. Amazingly, Fabian also participated in the Kukkiwon patterns discipline for A-class and achieved a bronze medal. Fabian did incredibly well throughout and managed to qualify for the EUSA Championships. Haydn Price, Divya Kaurc and Tom O’Sullivan participated in Kukkiwon patterns discipline for C-class and proudly entered the semi-finals! Tom and Divya also competed in the pair Kukkiwon patterns discipline for C-class and also entered the semi finals. All of them performed very well and we are extremely proud of their achievements. On the same day, Rachel Higgins competed very well in both ITF and WT style sparring for B-class. It was very tough as one of her fights ended in a nosebleed. Nevertheless, she continued fighting and achieved a gold in ITF and a bronze in WT! Martin Kong competed in C-class ITF style sparring and having never have competed in ITF before, he amazingly achieved a silver medal. The two of them performed exceptionally well. On Sunday, the club competed in A-class and C-class sparring. Divya and Richard Pearce faced very difficult fights and fought well in the C-class quarterfinals. Haydn also performed really well in C-class sparring by making it into the semi-finals and winning a bronze medal. Sharon, competing for the first time, won gold in WT style C-class sparring. The hardest worker on Sunday was Tom, who sparred in the most popular category, male WT C-class -74 kg. He fought all day, and won them all, even after injuring his foot quite seriously in the final. His perseverance rendered him a gold medal! Our last competitor was Ismael Mekene Coulibaly for A-class WT style sparring, who made it into the spotlight finals and after a tense and thrilling fight, he achieved a gold medal! Ismael also qualified for the EUSA Championships. This was one of the most successful competitions to date! The club is immensely proud of everyone and we are extremely excited for future competitions where we hope more members are encouraged to compete too! Most importantly, we give our deepest gratitudes to Fabian and Hamid Ghayoorzadeh for coaching our team, the spectators who came along to cheer and our instructors David Austin Grey and Jim Clements for such invaluable support and guidance.